The Hollywood beauty flaunted her elegant side at a recent shoot location of Big Little Lies in Los Angeles. 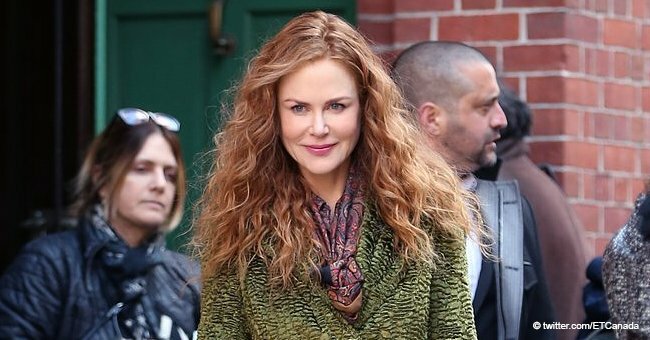 As reported by Daily Mail, Oscar-winning actress Nicole Kidman was recently spotted in a gorgeous avatar during the shoot of the HBO series Big Little Lies. The 51-year-old versatile performer appeared to be glowing in an outfit that accentuated her well-maintained physique. Kidman was seen wearing a long summer dress with a pair of brown high-heeled boots. The light beige color of the dress complimented her skin tone, but the highlight of her look was her flowing red hair. Kidman was seen outside a vanity van, with her open red tresses and bangs swaying in the breeze on the sunny day. Read more about Nicole Kidman on our Twitter account @amomama_usa. The dress featured an overall pattern of flowers and leaves. The outfit featured a deep V neckline and flared half-sleeves. The Australian celebrity looked upbeat as she walked away from the van, smiling at the cameras. Apart from posing for the paparazzi, Kidman was also interacting with a female crew member, as the duo walked towards the set of Big Little Lies. Kidman is an integral part of the Emmy-winning show, both as a cast member and a producer. She portrays the character Celeste Wright on the series, with a star-studded cast including Zoë Kravitz, Shailene Woodley, Laura Dern and Reese Witherspoon. One of the upcoming projects that Kidman is a part of is titled The Expatriates, which is being produced by Amazon Studios. The Amazon series, based on a 2016 novel by Y.K. Lee, will also be produced by Kidman through her production company Blossom Films. This would be another series revolving around stories of women besides Little Big Lies, as the show narrates the trials and triumphs of expatriate women who live in Hong Kong. 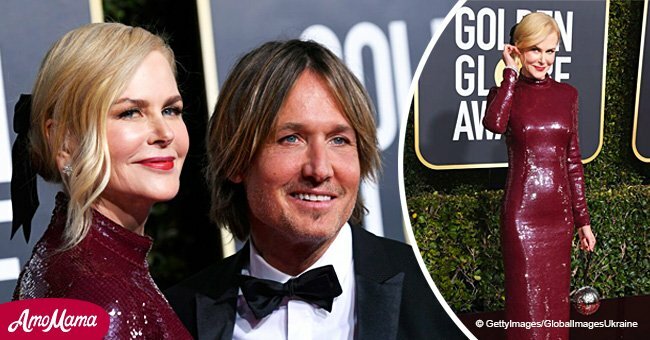 Kidman, who is married to country artist Keith Urban seems to have a lot of projects to look forward to, as her company has also recently purchased the rights to writer Liane Moriarty’s upcoming novel. Variety reported that the book, titled Nine Perfect Strangers, will be recreated for visually, with Kidman playing the lead role apart from being an executive producer. Even with new projects on the horizon, Kidman will continue to enthrall viewers with her performance on Little Big Lies, which is currently gearing up for season 2.